The infamous John McAfee is back in the news tonight and it’s in relation to the murder of Gregory Faull who was subdued, tortured and murdered at his San Pedro residence on November eleventh, 2012. A U.S. federal district judge in Florida handed down a decision against McAfee and in favour of the estate of Faull. The Estate of Gregory Faull initiated this wrongful death action against McAfee under the Florida Wrongful Death Act. The federal judge entered a default judgment, ordering McAfee to pay more than eight thousand dollars in funeral expense, five million dollars in noneconomic damages and twenty-five million dollars in punitive damages. McAfee, however, has refused to pay. The former antivirus pioneer claims he has no assets. The Estate of Gregory Faull is also accusing McAfee of paying a man five thousand dollars to torture and kill Faull for allegedly poisoning several of his twelve dogs. McAfee denies all accusations, but also refuses to cooperate with law enforcement authorities. Faull was found dead with a gunshot wound to the head. 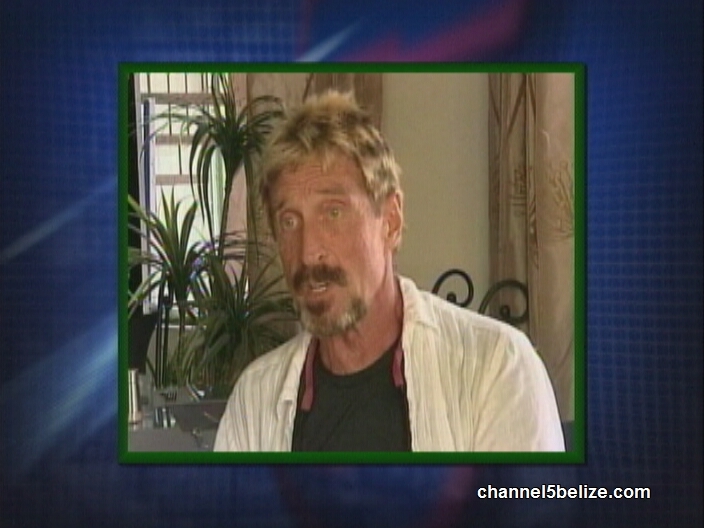 McAfee later fled the country.